This is what Motown would sound like if Motown was still going strong in the new millennium. Depending on which side of town you hail from, sounding all slick like Motown is not necessarily a good thing. Truth be told, what this is – it is pop, dressed in immaculate, high gloss, upscale production attire, strings and the best studio engineering money can buy. The kind of music you hear in the background of television dramas, and increasingly as the soundtrack for youth-oriented consumables sold to baby-boomers who suffer amnesia concerning how old they really are, and also you hear these melodies as the theme songs for big budget Hollywood romances. This is modern pop—with all the pop pluses and minuses parading themselves for us to hear. It’s British-born, super-star, Grammy-wining vocalist Seal Henry Olusegun Olumide Adeola Samuel. Do not expect grit and grim from this spit and polish production but surprisingly, Seal delivers more than one might expect. It’s an understatement to say he has a charming voice. There are even moments when he is enthralling. If pop is your thing, this is pretty close to heaven. I have a hard time with pop. Plus, I was around when the originals of all these songs first dropped. Even wackery back then had a social, if not flat out political, sub-text and context. The songs were about something even if they were about nothing. I mean something as seemingly innocuous as “Knock On Wood,” a song in which a man declares not only that he loves a woman but that he realizes he is lucky to have her. Compare that sentiment with the top forty songs of today. So the Mixtape is made up of five tracks from the studio release and five recorded live. At its worse, it’s pleasant, and at its best it is enjoyable. Really. I’m writing that in all sincerity. Although the cycle is an old one, I still continue to be amazed by how much black music is recycled for mainstream tastes. While it is true that great art remains relevant for generations, seldom do we get a whole genre of popular music remaining popular 40 years and more after its initial popularity. We are way beyond nostalgia and imitation. 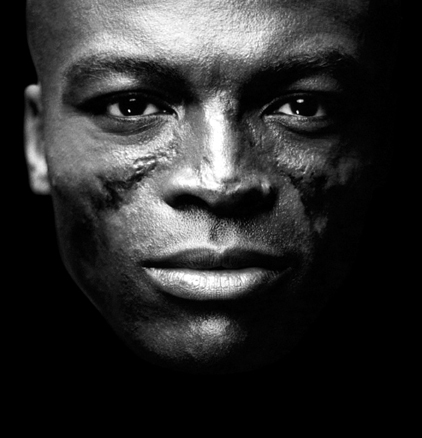 I wonder what will be popular fifty years from now and whether some other Seal will be covering Soul songs from the seventies.